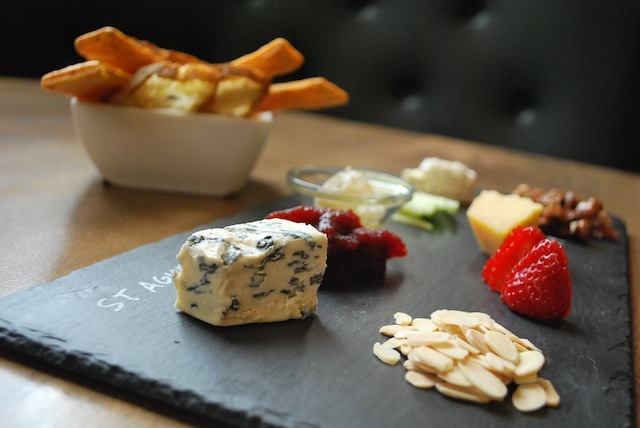 The cheese plate form Federal Bar, a participant in Eat LBC. Photos by Brian Addison. Eat LBC marks the city’s inaugural “restaurant week,” which hopes to encourage both locals and outsiders to visit Long Beach’s vast array of culinary offerings with prix fixe menus at set prices. Starting this Sunday and running through April 5, more than 50 restaurants—from casual to high-end—will offer up menus dedicated to Eat LBC goers that are either $26 or $38 per meal (and considering places like Sky Room, Michael’s on Naples, and James Republic, that’s a steal). The restaurants are spread throughout Long Beach, from the Shore to Bixby Knolls, Downtown to the PCH Corridor. The idea—though not a new one with Dine LA directly to the north—is the brainchild of Elizabeth Borsting and Terri Henry. The two admitted they created Eat LBC for selfish reasons: they wanted a dining week of their own. 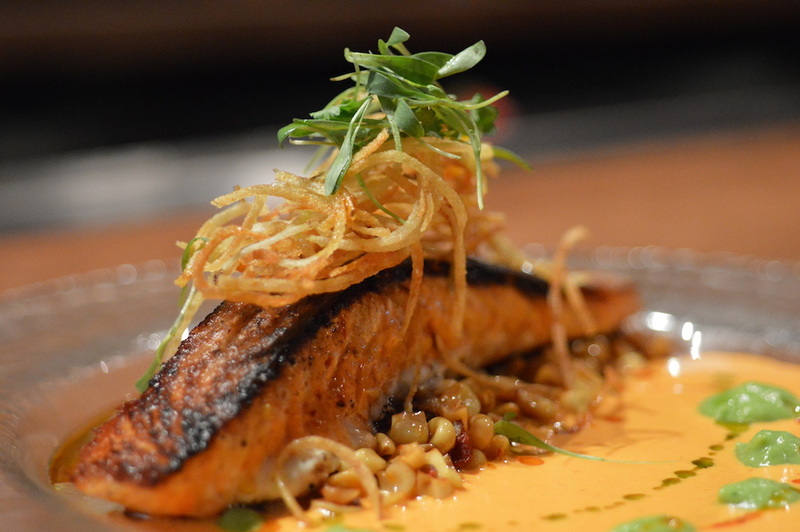 The grilled salmon from Agaves, also a participant in this year’s Eat LBC. With the recent addition of multiple middle- to high-level restaurants—think The Attic in Belmont Heights (participating in Eat LBC) or Chianina in Naples or Pier 76 in downtown (also a participant)—Eat LBC seems like a befitting concept to highlight what is growing culinary scene in Long Beach. Each restaurant paid $400 to join the list and was only asked one thing: stick to the prices. Considering this is not an outdoor event which require the hull and limitations of portable equipment, it seems that the gastronomical pleasures are to be better met than other attempts at harnessing Long Beach’s foodie treasures. For a full list of restaurants and more information, visit www.eatlbc.com.